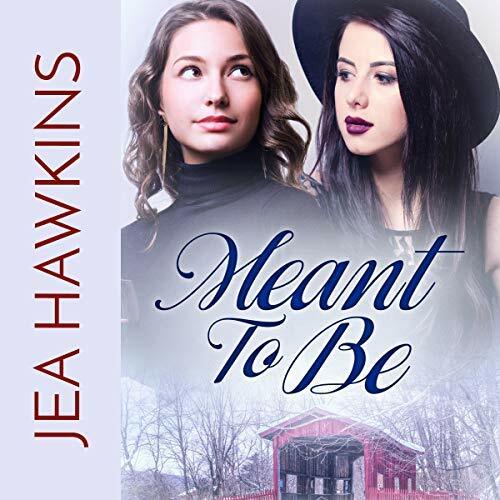 Erryn reviews ‘Meant to Be’ by Jea Hawkins. This book was released by the author on December 26, 2016, and is 319 pgs long by Wicked Heart Publishing. The audiobook version of this story was narrated by Lori Pince and released on November 28, 2018. The audiobook is 5 hrs and 57 mins long. A copy was provided in exchange for an honest review. Why I read this book:. I loved ‘Must Love Chickens’ and jumped on the change to listen to another Jea Hawkins and Lori Prince audio. Twenty years ago, best friends Alice and Misty shared a kiss…and then their entire relationship unraveled. 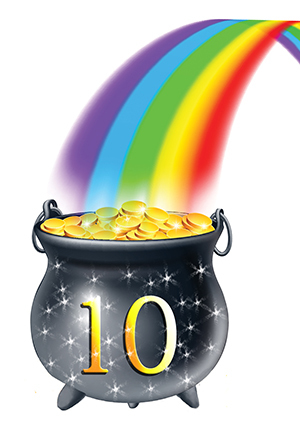 Alice Cavanaugh has spent the past 20 years trying to forget her best friend’s betrayal. She moved on with her life as a single mother and librarian in her hometown. But when Alice finds out Misty is coming for their high school reunion, she can no longer hide her feelings. In 1996, Misty Morse promised Alice they would go to Seattle together, so Misty could pursue her dream of being a musician. With one quick, fearful decision, though, Misty ended up on her own. And she has regretted it ever since. When Misty returns, the former friends are thrown together for more than a week in small-town Vermont. Can Alice forgive Misty for leaving her behind all those years ago? And will Misty tell Alice how she really felt about her all along? There are times when you just want a fun listen with little angst but good chemistry between the main characters. Jea Hawkins books fit the bill perfectly. I was looking for something more than light and fluffy but not completely angst-ridden. Since I’ve listened to Jea’s books before, I knew what I was getting and wasn’t disappointed. Alice is being forced to face the only woman she’s ever loved after twenty years of silently pining. She’s moved on with her life after the disappointment of the end of a great friendship that had the promise of more. One fated kiss and everything had ended abruptly, leaving Alice with no clear understanding of what happened. She did eventually get pregnant and is the happy single mother of the very precocious Liza. The mother/daughter dynamic works and the love is so clear. Not all single mothers are able to raise such healthy and well-adjusted daughters and not all daughters are appreciative of the sacrifices her mother made to give her a good life. Now it’s the twenty-year reunion party during the Christmas season and Misty, a successful rock singer, has been invited back to give a concert. Defying her manager, she makes the commitment, knowing she’ll not just be facing her old comrades but the one woman she’s never forgotten. This book is a slow burn because there are a lot of hurt feelings to be worked through and no simple solutions – just the way I like it. Misty has to explain why she left without warning twenty years ago, breaking her word and commitment to Alice. She also has to explain why she eventually lost touch and why she’s never communicated with her former best friend when she came back to town to visit her father. For her part, Alice has to own up to the disappointment and face her anger that she considers righteous. I enjoyed watching the two women circling, searching for the right words to make things right. Finding a way to work through their issues, all the while knowing Misty’s leaving right after the holidays to go back to her career in Los Angeles, including a future recording contract, tying her to a label and manager she no longer cares for. The set-up for a simple resolution might be there, but the women have to work to get it and that made the happily ever after all the more satisfying. I adore Lori Prince as a narrator. She has a wide range and I find her collaborations with Jea to be some of her best work. I first listened to Must Love Chickens a few months ago and fell in love. When this book came out, I pounced. Although it wasn’t quite as good as the previous audio, it is still one of my favorites. I highly recommend this great book. Jea writes sweet and spicy contemporary lesbian romance. If love conquers all, then she’d like to think her heroines can rule the world one day. Personal addictions include autumn, cozy sweaters, hot chocolate, and the Sims 3. Thank you for the review. The cover looks great and this is a new author and narrator for me. I’m not sure this is the book for me but I appreciate your review. Thanks for taking the time to write a thoughtful evaluation.